Alinea At Home: I jinxed myself. I should know better. I jinxed myself. I should know better. Congress is out of session. My email is (mostly) quiet. This is the last chance for some downtime before the holidays, so I'm going to take full advantage of it. That post went up at 6:05 p.m., August 21. I spent all day Sunday, August 22 canning and preserving food for this article in The Washington Post. I also mowed and pulled weeds in the garden to fend off a location scout for The New Sanford & Son. That evening, I relaxed on the front porch with a glass of wine and some leftovers from my birthday dinner a few nights before, thinking to myself these next two weeks are gonna be AWESOME. I know. Poor, poor me. First-world problems and all. This is all to say that, factoring in some travel and a two-week work project in California, I have not cooked since July 20 -- not for myself, and not for anyone else. AND IT'S DRIVING ME BONKERS. I don't have any food in the house -- it would only spoil. I have eaten approximately 6,498,127 gluten-free Larabars. I have gone through 4 boxes of Rice Chex. The guys at my local Indian restaurant see my number on caller ID and answer the phone saying, "Hello Carol, we will see you in 15 minutes." So you can imagine how the lack of any sort of balanced diet is contributing to my already sky-high stress levels. I'm a real joy to be around. 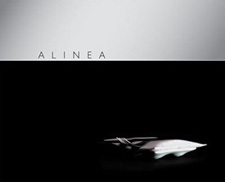 I open the Alinea cookbook nearly every other day, and just as I start to make a shopping list and figure out a timeline for making one of the recipes, the phone rings or my email explodes with another judicial action, federal appeal, Congressional statement, or reporter looking for some background. I love my job, and I am incredibly passionate about the issues I work on. But I need to chop something. Badly.